Beautiful Bantayan Island in Cebu, Philippines -- How To Get There! 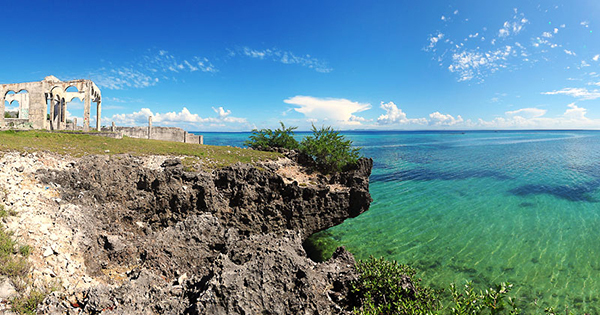 Bantayan Island, a splendid patch of land on the northern tip of Cebu province, had been widely-known ever since it was featured in a Philippine movie. Many tourists love this not-so-secret hideaway for its wide stretch of fine white sand, calm blue water, picturesque sunrise and sunset, and serene atmosphere. What's best is that it's very easy to get there! #1 - Fly to Cebu: Anywhere you may come from, Cebu City is the easiest and most convenient gateway for reaching Bantayan Island. All major airlines fly to Mactan-Cebu International Airport so getting there is just a piece of cake. # 2 - Ride a Bus going to Hagnaya Port: From Cebu City, catch a bus in Cebu North Bus Terminal that leaves every 30 minutes from 7 am to 11 am and every 20 minutes from 11 am to 9:30 pm. Beyond this hours, you may hail a taxi, Grab, or Uber but expect higher fares. Travel time is 3 to 4 hours, depending on traffic. Take note that the last boat trip to Sta. Fe in Bantayan Island departs at 5:30 pm so it is advised to leave from Cebu City before 2 pm. # 3 - Hagnaya Port to Bantayan Island: In Hagnaya Port, board a public ferry going to Sta. Fe that leaves as early as 3 am; last trip is 5:30 pm. After approximately one hour of boat travel, you can set your foot on the peaceful island of Bantayan. * Ride a ferry from Leyte or Masbate: There are RoRos and pump boats from Palompon Port in Leyte and Polambato Port in Masbate that travel to Bogo City, Cebu. From Bogo, Hagnaya Port is about an hour ride by land. * By Air from Cebu: If you're feeling extra, there are also direct flights to and from Bantayan Island and Cebu City every day. Instead of 4 to 5 hours travel by bus and boat, you can opt for a 40-minute flight. And it's not that expensive!